Hotel Hill Queen is a perfect holiday home in the queen of hills neighbored by woody Oak trees. 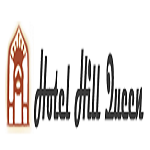 Located just at the foot of Gunhill, bang opposite jhoolaghar, Hotel Hill queen stands as a landmark in itself on the main Mall road gazing over the splendid doon valley. The location promises you comfortable proximity to all the interesting tourist spots including the popular horse-shoe shaped mall road, not letting you miss on any of the townâ€™s main attractions.